Barbie dolls, Stickle Bricks, Weebles, Big Wheels, the list of toys you can find in a child’s room goes on and on. It’s easy to understand why: young Indian parents don’t mind spending money on toys, as they ensure a well-rounded development of cognitive, social, and physical abilities for their children. This explains why the demand for branded toys in India has increased significantly in the past few years. This guide explains how can you sell toys online. The Indian toy market is worth Rs. 2750 crore as of 2017, roughly 0.5% of the world toy market, and is growing at a 20% CAGR. The unbranded segment enjoys a 75% share of the market, while the branded segment is speculated to grow faster. The share of online toy retailing grew from 1% in 2007 to 18% in 2012 and is expected to grow even more in the coming years. Needless to say, the potential of this market offers a huge opportunity for retailers to sell toys online, build a brand, and establish trust amongst parents. 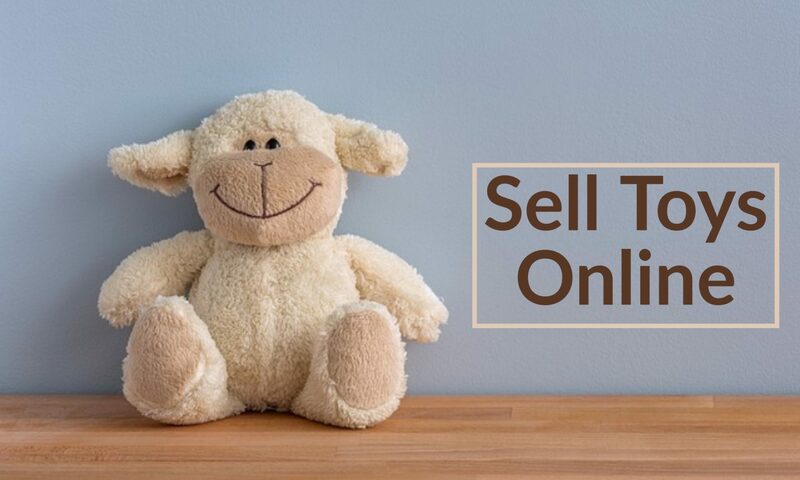 There are several factors you need to take into consideration before you start selling toys online. When you sell toys online, it’s important to display all your products with images. Displaying your entire product portfolio on your website attracts more visitors and increases your conversion rates. Toy brands emit a colorful and lively vibe. Your store design should follow the same theme, with vibrant backgrounds, animated banners, and colorful menu buttons, footers, sidebars, and headers. 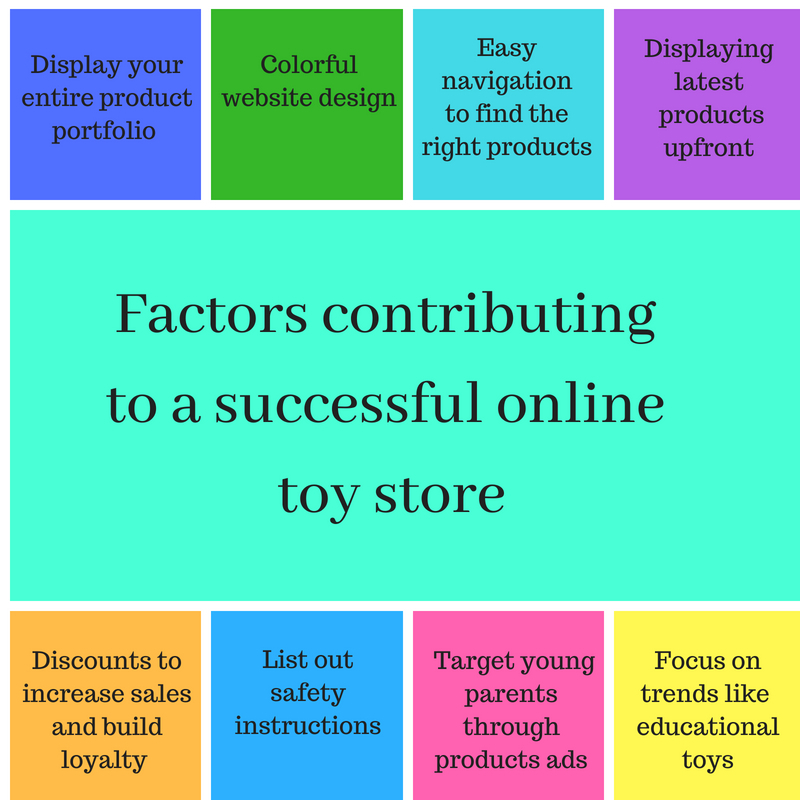 Sorting your products into categories in your online toy store will help your visitors navigate your website more easily. Create categories like age groups (1–3 years, 3–6 years, etc. ), types (electronic toys, educational toys, board games, soft toys, etc. ), brands, and price range to help your customers easily find the products most relevant to them. The toy industry is pretty dynamic. Every new superhero movie or animated film that comes out drives up the demand for new toys. Keep up with the market by showcasing these trending products and best sellers on the homepage of your store to increase conversion. Discounts are good for attracting more customers and increasing sales. Offer attractive discounts and rewards to keep your customers loyal to your brand. All toys and games pose some risk to kids. Every day, hundreds of kids under the age of 15 are rushed to the hospital due to toy-related injuries. Aside from accidents caused by damaged toys, most cases are due to lack of awareness—i.e. a child playing with a toy for the wrong age group. When you upload a product, be sure to include safety instructions in the description. Mention the right age group for each toy and any chemical substances they may contain. Following safety standards is critical to selling toys online and running a successful and trustworthy online toy store. The trends in the toy industry are more dynamic than in any other market. However, there is one trend that remains consistently viable and has excellent prospects: educational toys. The popularity of educational toys is growing, and soon it will be in higher demand than any other type of toy on the market. When it comes to their children’s development, education is the most important factor on parents’ minds, so they frequently search for toys with high educational value for their kids. Young parents with busy work schedules often rely on online shopping to buy toys for their kids. These parents mostly reside in Tier 1 metro cities like Mumbai, Bangalore, Delhi, Chennai, Hyderabad, and Kolkata. You can run Google product ads that target high-volume keywords in these cities. These ads will appear at the top or to the left of Google search pages for relevant queries. Run ads for the latest trending products, such as cartoon characters and movie characters. This will ensure your brand receives a valuable initial boost in visibility to generate brand awareness. Social media is another cost-effective means of reaching out to young parents. The flexible nature of social media ads will ensure you reach the right group of people within a modest budget. You can target and retarget ads to your audience based on certain criteria—region, interests, age, gender, etc.—on Facebook and Instagram to build your customer base.